Cette cabine pittoresque et confortable de Kings Beach est le refuge parfait pour un petit voyage en famille à Tahoe. La maison a 2 chambres à coucher et 1 salle de bain complète avec combo douche / baignoire. 4-6 personnes avec 2 lits ordinaires et 3 lits convertibles. La maison possède une télévision à écran plat dans le salon qui est raccordée à un lecteur de DVD Blu-Ray (pas de câble / satellite) et peut également être connectée à votre ordinateur pour diffuser des émissions à partir d'Internet (apportez votre propre câble HDMI). Un accès Internet sans fil est également disponible pour les clients. Prenez un roman dans la bibliothèque et installez-vous confortablement sur le canapé ou promenez-vous dans le centre-ville de Kings Beach, où vous trouverez des magasins, des restaurants, des zones de loisirs et la plus grande plage de sable de la côte nord de Tahoe. La maison a également un garage simple où vous pouvez garder votre véhicule contre les éléments. Les animaux domestiques sont négociables avec des frais hebdomadaires pour animaux de compagnie, s'ils sont approuvés. Nothing fancy, but prime location and everything needed for a great stay. The only bathroom in the house had a shower that was not working. The bathmat and towels had not been washed after the last occupant. It took 2 days for the management company to schedule a plumber, who had to replace the shower head and a few valves. There was a heavy storm so the delay was understandable. What was very disappointing was the attitude of the manager we spoke to at Century 21: she was defensive, seemed to blame the plumbing problem on us ("you must have turned off the heat", unlikely in 25deg weather!) and never offered an apology or an accommodation for the condition of the house. Our request for a late checkout was immediately denied of course. I did not bother to even suggest some form of monetary compensation, but I did tell the folks at Century 21 that I would be writing this up. There were some other minor inconveniences that were not mentioned in the VRBO description. Garage has no automatic door opener. No cable/local TV. No dishwasher. On the plus side, the washer/dryer is conveniently located and the bedrooms are a good size with large closets. It was as expected and much better. Rooms where very well kept and amenities were sufficient for our cozy stay in wintery Tahoe. 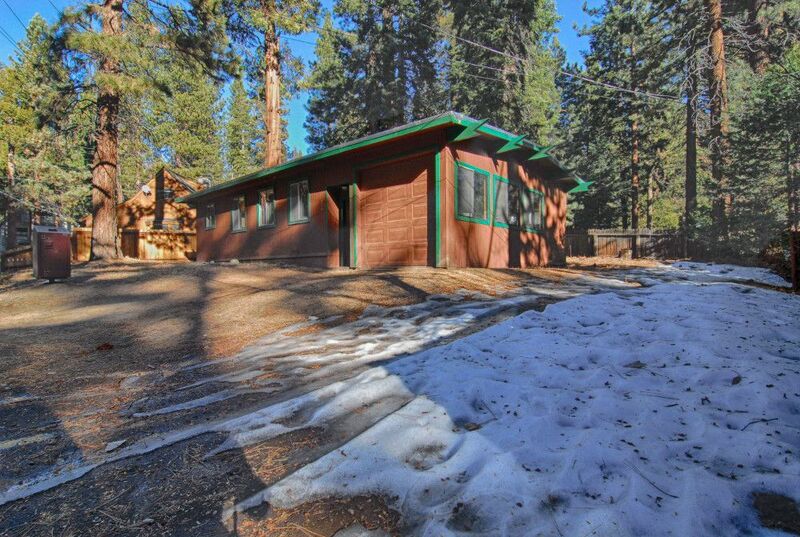 Just a quarter mile from Big Blue Tahoe and very close to modern amenities as well. Diamond Peak ski area was just 20mins away. A great place, would love to go back. We had a great summer vacation. The rental home was close to shops, the lake, and groceries, everything was within walking distance. Everything in the home was clean and ready to go. My family and I had a very good experience with the rental home. I would rent it again in a heartbeat. Thank you Stephanie at Tahoe North Rentals.